And its punishment in Islamic jurisprudence and Iraqi law: An Evaluative study). Research Interests: Islamic Jurisprudence - Usul al-Fiqh and comparative between Islamic Jurisprudence and law. - BSc: Islamic Studies, Salahaddin University \ Hawler. - MSc: Islamic Revealed Knowledge and Heritage. (Fiqh and Usul al-Fiqh) International Islamic University\ Malaysia. · To 23th Oct 2008. · I participated in the Second Global Conference (Department of Arabic Language and Literature – College of Islamic Revealed Knowledge and Human Sciences) in International Islamic University \ Malaysia, under the title (Islamic Studies of Language and Literature and its Implication, from 21th to 23th Feb 2009. · I participated in a Conference of Ministry of Endowment and Religious Affairs under the title of “Toward a Contemporary United Religious Discourse” which was held in Hawler in 17-19/02/2009. · In International Islamic University \ Malaysia, under the title (Quality research through to the Renaissance: The Role of Post-graduate Students) and I presented a paper which was about (Property in the light of Glorious Quran: An Objective Study) in 20th to 22th Feb 2012. · I participated in a Conference Which was under the title of (The Ideal Student is the representative Leader of Tomorrow) which was held by (– College of Islamic Revealed Knowledge and Human Sciences) in International Islamic University \ Malaysia, and I presented a paper on (The Crime of Bribery in Islamic Jurisprudence) in 24th to 25th Mar 2012. · I participated in the conference organized by the Faculty of Islamic Sciences at the University of Salahaddin / Erbil, Which was under the title of (The Elements of Social Peace, Islamic Reading in the Light of Contemporary Reality), on 1 to 3/4/2014. · I participated OF THE XVI MAKKAH CONFERENCE Which was under the title of “MUSLIM YOUTH AND THE NEW MEDIA” Organized by the MUSLIM WORLD LEAGUE MAKKAH AL-MUKARRAMAH in 16 to 17-/09/2015. · I participated in a Workshop about (Effective PowerPoint Presentation) in SLUE Centre in Malaysia, in 2013. · I participated in a Workshop CQR Centre in Malaysia about (Shamela Database), in 2012. · I participated in a Workshop about (Saving the Environment) which was held by Ministry of Environment of Kurdistan Region, in 2008. 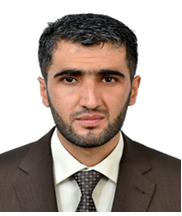 · I participated in the first course of “Empowering the intellectual background of Islamic scholars” which was held by (Kurdistan Islamic Scholars League\ Executive Office – Soran Branch) from 30th Aug to 26th Sep 2004. · I participated in “Awareness of the Danger of Mine and other Explosive Things” which was held by KOMA dating from 23th Feb to 4th Mar 2004.